Kidz Mpowered is proud to have been in collaboration with Wilder Penfield, Jules Verne, Souvenir , McCaig Elementary School, Royal West Academy (Grade 7) and St. Jude Elementary schools in bringing Empowerment to their students with our unique Powerful Me workshop! EMPOWER YOUR CHILD ~ EMPOWER YOUR FAMILY ! Does your child or teen struggle with low self-esteem ? fears? anxiety ?bullying? anger ? stress ? shyness ? assertiveness? social skills ? self-expression? or adjusting to life transitions? 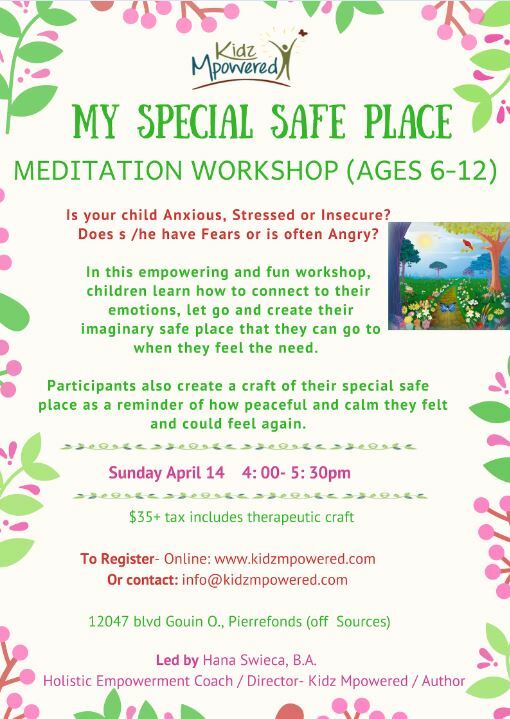 At Kidz Mpowered, we help empower children, teens, and their families to overcome personal challenges and reach their potential, while going on a journey of self discovery, with our workshops / programs, holistic empowerment coaching & empowerment products. Hana Swieca from Kidz Mpowered came to our school and gave empowerment workshops to help decrease anxiety, help grade 6 transition to high school and worked on communication with the younger grades. Overall the workshops were wonderful! They were well delivered and Hana has a wonderful way of approaching the students and getting them all on board. Even after the workshop, the students could apply the tools they had learned from the workshop to help them with their anxiety, or communication problems or just helping them to better focus. Hana is fabulous and I would recommend her to anyone and everyone, both young and old! 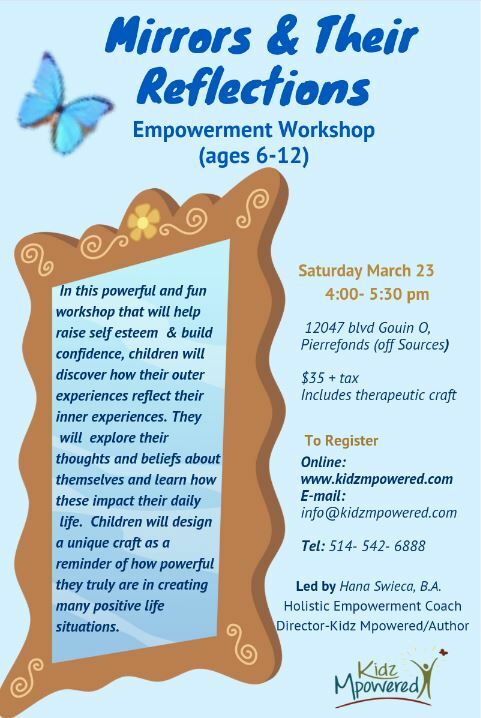 I hired Hana Swieca, a therapist from the Kidz Mpowered clinic to teach some empowerment sessions for my students including the most “difficult” groups. I witnessed Hana in action and saw how she engaged all the students and I loved her presence and her energy and so did the students. The book Jonathan’s Magical Discoveries fascinated me along with its companion workbook Discovering Me. 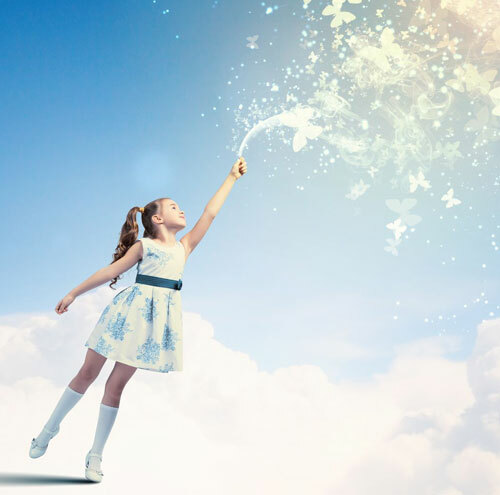 These powerful books would be an enormous help to children, as well as adults, who want to feel good about themselves and to realize their full potential. Hana Swieca has greatly succeeded in creating powerful and simple tools to help guide us in keeping our inner strength going strong and in stretching our wings to reach our full potential. These unique books are a sure way to fight powerlessness, insecurity, and lack of self-esteem. The story book, Jonathan’s Magical Discoveries and its companion workbook/activity book, Discovering Me, written by Hana Swieca are unique and creative children’s books for all ages. They are highly recommended as excellent resources for building self-confidence and self-esteem in children. The Discovering Me Empowerment Program is absolutely terrific! I feel these are important life skills all children should have. I have seen such a positive difference in my daughter who participated in the program. What a great opportunity it would be to incorporate this program into all schools. As a teacher, I can see such great benefit if all students would be able to receive this gift and how it would build character and confidence in students. Thank you Hana for inspiring children to be empowered and for magically touching childrens’ lives. You are truly a guardian angel for all children! It is amazing to see the transformation in my son. His confidence is improving daily with the skills he learned in the Discovering Me Empowerment Program. He has shown personal growth and is once again the loveable, happy child that I know and love. The social environment created by Hana in her program and the skills she helps the kids nurture, within themselves, will help my son be the best he can be and is meant to be! Thanks Hana. Hana has helped me gain the tools to recreate my life. She has shined light on the darkest parts. I learned how to move through the darkness in my life and be free of my frequent panic attacks and my self -destructive behaviours. Hana helped me connect to myself and take control of my life. My whole life has changed greatlyand I can now attract more positive things in my life. There are no words to express my gratitude. I can now smile and feel joy! Thank you Hana from the bottom of my heart! When I first came to see Hana, I was at a point in my life where I was lost, ashamed, angry and careless. I was headed down the wrong path and it felt like nothing could change my life. I did not see the point of my life and I did not love or care for myself. Hana brought me back to life. She inspired me to be so many things and helped me see the true potential in myself and I am forever grateful for that. She gave me my confidence back and helped me over come all of my fears. I cannot even begin to think where I would be now if I never attended a session but I am so happy that I did. My life is now complete and I am so happy with where I am now. She changed my life for the better and I truly cannot thank her enough for her time and patience. Thank you for everything Hana, words cannot express my gratitude. Give children the gift of Empowerment and watch the positive effects ripple throughout all aspects of their lives!